How much should an organism invest in any given act of reproduction? It would be instructive to know not only by what physiological mechanism a just apportionment is made between the nutriment devoted to the gonads and that devoted to the rest of the parental organism, but also what circumstances in the life history and environment would render profitable the diversion of a greater or lesser share of the available resources towards reproduction. Fisher clearly distinguished between the proximate factor (physiological mechanism) and the ultimate factors (circumstances in the life history and environment) that determine the allocation of resources into reproductive versus non-reproductive tissues and activities. Reproductive effort, an organism's investment in any current act of reproduction, has played a central role in thinking about reproductive tactics. Although reproductive effort is conceptually quite useful, it is difficult to quantify adequately. Ideally, an operational measure of reproductive effort would include direct material and energetic costs of reproduction as well as risks associated with a given level of current reproduction. Temporal patterns of collection and expenditure of matter and energy are also important. Many organisms gather and store materials and energy during time periods that are unfavorable for successful reproduction but then expend these same resources on reproduction during a later, more suitable time. The large first clutch of a fat female lizard that has just overwintered may actually represent a smaller investment in reproduction than her subsequent smaller clutches that must be produced with considerably diminished energy reserves. Reproductive effort could perhaps be best measured operationally in terms of the effects of various current levels of reproduction upon future reproductive success. Instantaneous ratios of reproductive tissues over total body tissue are sometimes used as a crude first approximation of an organism's reproductive effort (both weights and calories have been used). The proportion of total resources available to an organism allocated to reproduction varies widely among organisms. Among different species of plants, energy expenditure on reproduction, integrated over a plant's lifetime, ranges from near zero to as much as 40%. Annual plants tend to expend more energy on reproduction than most perennials (about 14-30% vs. 1-24%). An experimental study of the annual euphorb Chamaesyce hirta showed that calories allocated to reproduction varied directly with nutrient availability and inversely with plant density and competition. Optimal reproductive effort can be examined from the perspective of the dichotomy for the apportionment of energy into reproductive versus nonreproductive (somatic) tissues, organs, and activities. Somatic tissues are clearly necessary for acquisition of matter and energy; at the same time, an organism's soma is of no selective value except inasmuch as it contributes to that organism's lifelong production of successful offspring. Allocation of time, energy, and materials to reproduction in itself usually decreases growth of somatic tissues and often reduces future fecundity. Increased reproductive effort may also cost by reducing survivorship; this is easily seen in the extreme case of big-bang reproduction, in which an organism puts everything available into one suicidal bout of reproduction and then dies. More subtle changes in survivorship also occur with minor alterations in reproductive effort. 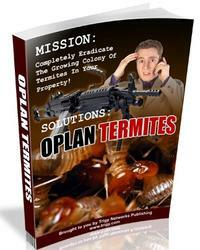 How great a risk should an optimal organism take with its soma in any given act of reproduction? This question can be explored using the concept of residual reproductive value, which is simply age-specific expectation of all future offspring beyond those immediately at stake. To maximize its overall lifetime contribution to future generations, an optimal organism should weigh profits of its immediate prospects of reproductive success against costs to its long-term future prospects. An individual with a high probability of future reproductive success should be more hesitant to risk its soma in present reproductive activities than another individual with a lower probability of reproducing successfully in the future. Moreover, to the extent that present reproduction decreases expectation of further life, it may reduce residual reproductive value directly. For both reasons, current investment in reproduction should vary inversely with expectation of future offspring. In the rotifer Asplanchna, probability of survival and expectation of future offspring both decrease with increased age-specific fecundity. Several possible different forms for the inverse interaction between reproductive effort and residual reproductive value are depicted in Figure 1. 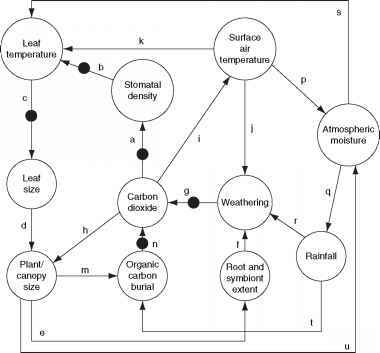 Curves in this simple graphical model relate costs and profits in future offspring, respectively, to profits and costs associated with various levels of current reproduction, the latter measured in present progeny. Each curve depicts all possible tactics available to a given organism at a particular instant, ranging from a current reproductive effort of zero to all-out big-bang reproduction. 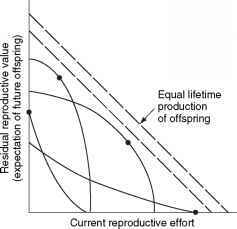 In a stable population, immediate progeny and offspring in the more distant future are of equivalent value in perpetuation of an organism's genes; here a straight line with a slope of -45° represents equal lifetime production of offspring. A family of such lines (dashed) is plotted in the figure. Figure 1 Tradeoffs between current reproductive effort and expectation of future offspring at any particular instant (or age). Four curves relate costs in future progeny to profits in present offspring (and vice versa), with a dot marking the reproductive tactic that maximizes total possible lifetime reproductive success. Concave upward curves lead to all-or-none 'big-bang' reproduction, whereas convex upward curves result in repeated reproduction (iteroparity). From Pianka ER (1976) Natural selection of optimal reproductive tactics. American Zoologist 16: 775-784. An optimal reproductive tactic exists at the point of intersection of any given curve of possible tactics with the line of equivalent lifetime reproductive success that is farthest from the origin; this level of current reproduction maximizes both reproductive value at that age and total lifetime production of offspring (dots in Figure 1). For any given curve of possible tactics, all other tactics yield lower returns in lifetime reproductive success. The precise form of the tradeoff between present progeny and expectation of future offspring thus determines the optimal current level of reproductive effort at any given time. Note that concave-upward curves always lead to big-bang reproduction, whereas convex-upward curves result in iteroparity because reproductive value and lifetime reproductive success are maximized at an intermediate current level of reproduction. In many organisms, residual reproductive value first rises and then falls with age; optimal current level of reproduction rises as expectation of future offspring declines. Current fecundity also increases as residual reproductive value falls, but the surface for a big-bang reproducer is always concave upward. Exact shapes of these tradeoff surfaces depend on the actual reproductive tactic taken by an organism as well as on immediate environmental conditions for foraging, reproduction, and survival. The precise form of tradeoffs between present progeny and expectation of future offspring is influenced by numerous factors, including predator abundance, resource availability, and numerous aspects of the physical environment. Unfavorable conditions for immediate reproduction decrease costs of allocating resources to somatic tissues and activities, resulting in lower reproductive effort. Improved conditions for survivorship, such as good physical conditions or a decrease in predator abundance, have a similar effect by increasing returns expected from investment in soma. Conversely, good conditions for reproduction and/or poor conditions for survivorship result in greater current reproductive effort and decreased future reproductive success.